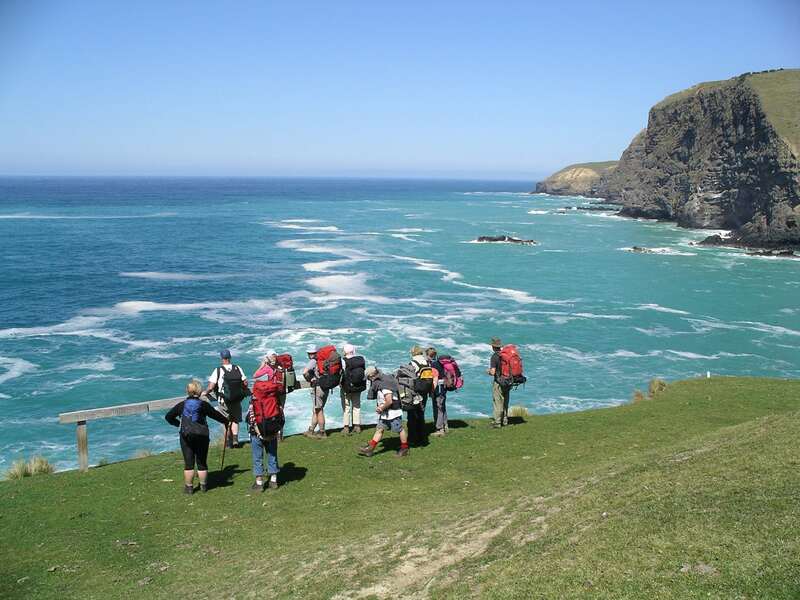 The Banks Track – Classic three-day walk. Over three days and nights you complete a 29km journey that starts and finishes in picturesque Akaroa. 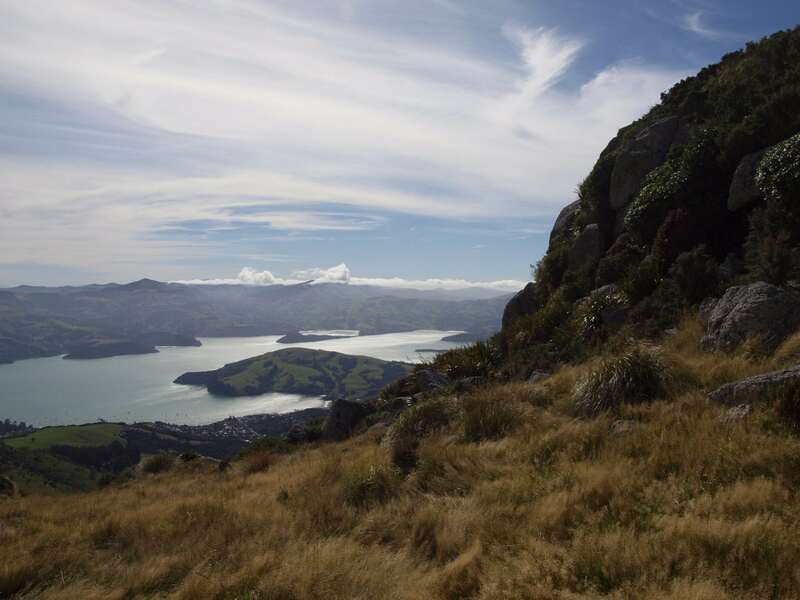 You walk across private farmland and along the coast of the south east corner of Banks Peninsula passing numerous reserves including Hinewai Reserve and the Pōhatu Marine Reserve. The diversity of scenery, flora and fauna, accommodation and views combine to create a stunning experience, one that many people return to enjoy. 5.30 pm pick up (on your booking start date – you begin walking the next day) outside Akaroa’s old Post Office opposite the BNZ. Prior to 5.30 those with their own transport will need to park their vehicle at Mount Vernon Lodge and walk down to the pick-up point. Paul or Mafi (your bus driver) will brief you on the key points of the next few days and answer your immediate questions. At this point you will be given a printed guide to the route (this also acts as your ticket), which is full of useful information about the walk. Keep it and read it! First night’s accommodation is at the Onuku Trampers Hut. The following day: Onuku to Flea Bay – 4-6 hrs walking. Pack cartage from Onuku to Flea Bay is an option. This second night’s accommodation is at the Flea Bay Cottage where drinks and chocolate bars are available for sale. A free penguin tour is available in the evening from October to January – information about this is in the cottage. The following day: Flea Bay to Stony Bay – 2-4 hrs walking. 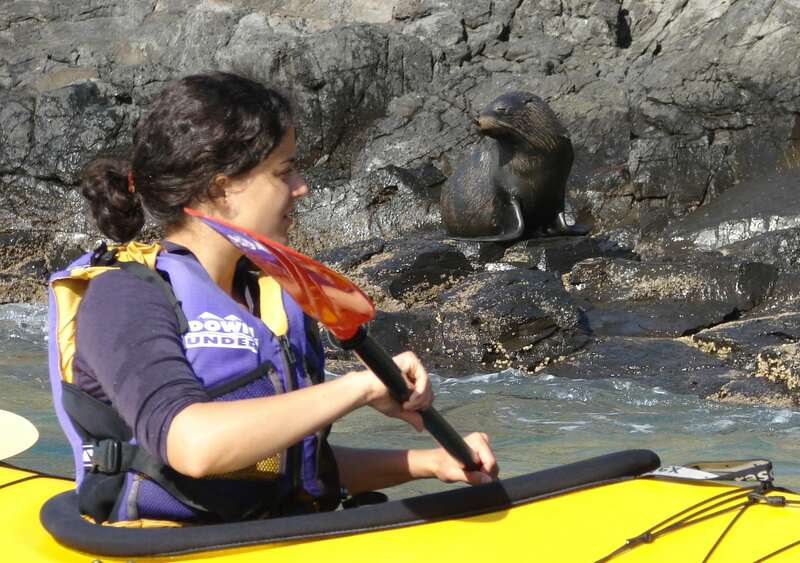 If you are keen you can start the day with a kayaking option within Pōhutu Marine Reserve (subject to sea conditions and to your booking it with Pōhutu Penguin Plunge). This night’s accommodation is at the Stony Bay Cottages. Full trampers shop supplies are available. There is no electricity here so ensure you have charged batteries the night before. The final day: Stony Bay to Akaroa – 4-6 hrs walking. This includes walking through some stunning areas of Hinewai Reserve which have been opened up to walkers for the first time in 2017. Pack cartage from Stony Bay to Akaroa is an option. Most walkers arrive in Akaroa in the early afternoon. To get a sense of the new Day 3 watch the 90 second Youtube video by clicking here. Optional extras – private room , sleeping bags, and pack cartage (standard or full pack cartage) are available. The three-day Classic Walk costs $260 pp. The season runs from 1st October to 30 April. Online booking are available here or contact us here for more information. Banks Track is self-catered. There are drinks and chocolate bars available for purchase at Flea Bay Cottage and at Stony Bay there is a Trampers Shop where you can purchase many items for your meals and snacks. Both are cash only. For your first evening at Onuku Trampers Huts and following days breakfast and lunch, you need to bring your food. On your second evening at Flea Bay Cottage there are Drinks and Chocolate bars available. however, you will need to bring your meals - the evening meal. breakfast and lunch. On your last evening at Stony Bay there is a well stocked Trampers shop. (see list below) open to walkers throughout their stay. It is restocked daily, and provides sufficient choice and quantity to cater for individuals or groups. Expect to pay prices roughly similar to a remote country dairy. Three-day Classic walkers will have their packs carted from accommodation to accommodation. Packs will be at the following accommodation by 2 pm. Packs are limited to 15 kg each. Overweight packs will not be carted. Also, please ensure all your belongings are inside the pack. Do not tie items to the outside of the pack. Three-day classic walkers need to bring a day pack for their lunch, camera, water and wet weather gear. Tip: If you have a vehicle parked at Mt Vernon, keep your keys with you on the last day as you will pass Mt Vernon 30 mins before reaching your packs at Akaroa. Additional luggage can be stored during your walk for $10.00. Please bring these bags (limited to 15kg) to the bus pick-up. Eco-Tourism &Pack Cartage, the conflicting desires! No issue has taken up more time or caused more debate for Banks Track folk than the issue of pack cartage. One of the distinctive attractions of the Banks Track is the remoteness of the bays, not just from Akaroa, but from each other. No farm tracks go the whole way from one bay to another, the only way for us to drive to our neighbour’s property in the next bay is via Akaroa township. The return trip is never less than 70kms, although the walking distance may only be 10 kms. This topography is one of the reasons why the bays have such a unique feel, and why the walking track around the coast, linking up these remote farms, is so special. But it also has a big impact on our thoughts and policy regarding pack cartage around Banks Track, and especially as it affects our desire for the Track to be as eco-friendly as we can make it. We hope the facilities provided on Banks Track will allow you to carry only a light pack and we hope our pack cartage option will enable people to walk and enjoy our back yard. Also, remember that everything taken into the bays must also be taken out. There is no rubbish collection in the bays. For this reason, please ensure you take in a little waste as possible and take out any waste you can. Also, please wash and separate recyclable items. There are waste and recycling options at each night's accommodation. There is an option of a private double bedroom with bedding and towels. The cost is $150 for the two-day hikers option and $225 for the three-day classic walk. As this is limited to two rooms per night, it is essential that you contact the booking office to confirm availability before making your main booking. You will need a sleeping bag. No bedding is provided unless you book the private room. Sleeping bags can be hired for $40 per trip. Sleeping Bags are washed at Akaroa Laundry between each hire. Hire should be arranged in advance by online reservation through Bookit or by e-mail. Collect your hired Sleeping Bag at the orienation and carry it with you from accommodation to accommodation. Extra luggage can be stored in Akaroa while you are experiencing the Banks Track. The cost is $10 per bag (maximum 15kg as our drivers need to carry them).